Through my phone, while going to school early mornings or heading home in one of the evenings, after a parents-teacher meeting. 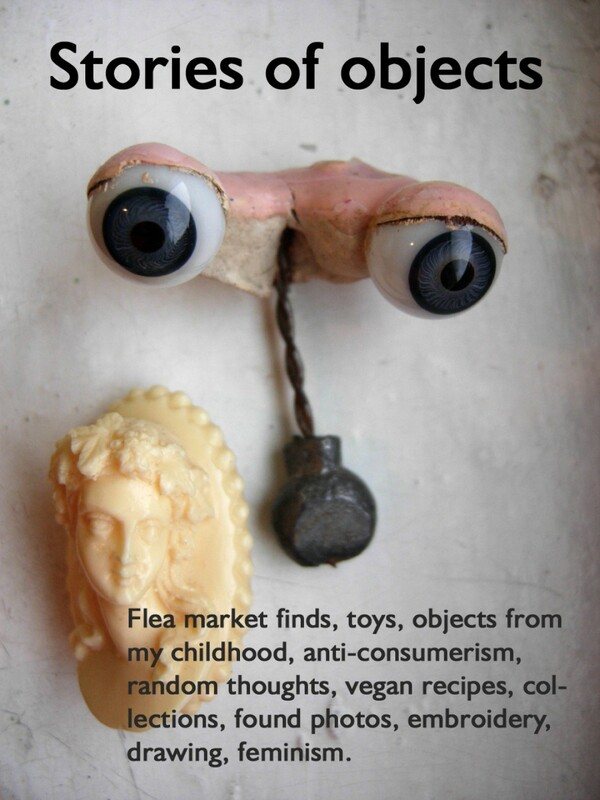 … I have finally visited the flea market again this weekend. We usually have training with our dog on Saturday lately and Sundays are the only days I can stay at home, so there didn’t seem to be a time for the flea market. I kind of missed it, even if I do have enough stuff and a break from collecting more is very useful. But this Saturday we didn’t have dog training and as winter is approaching, we thought it would be nice to have a look at the market. I have found a few very cheap things for my collections. I have no idea what this Avios brand used to be (a quick search online shows only some flight points), but this watch keeps correct time, even if it is so scratched and seems to have been used a lot. Maybe it is from the seventies? Anyway, I really like its small size and old fashioned design, so this is the watch I’m using these days. Two more snake pieces of jewelry. Snakes are my favorite motif, so I was glad to find these. Both are silver and old, I think. A new piece for my brass Art nouveau pendants and brooches collection. This is a very tiny pendant/charm. I don’t think this bracelet is vintage, but it is nice. I gave it to my friend. My eyeglass case and my new phone case I have found at the flea market today for around 1 Euro :). I want to take some more pinhole photos of our plants, before it gets too dark by the time I get home. These are very long exposures, of 24 to 30 hours. I like how the details became more clear in this images. The next day after the cotton plant bloomed, the flower turned from pale yellow to bright pink. Till evening, when I took this photo, the flower was already fading. We really hope it was pollinated and we will have a seed. But anyway, there are other buds that will bloom soon.